Start - Mister, Mister! Foto, Foto! Mister, Mister! Photo Photo! – The good mood coffee table book with the laughing children from Indonesia. The laughter of the children, their exuberant joie de vivre, the self-confident charm of women, the friendly serenity of men – the Indonesian archipelago offers a true treasure: its people. And the way they welcome strangers: curious, unbiased and happy. A wonderful journey into the true land of smiles! 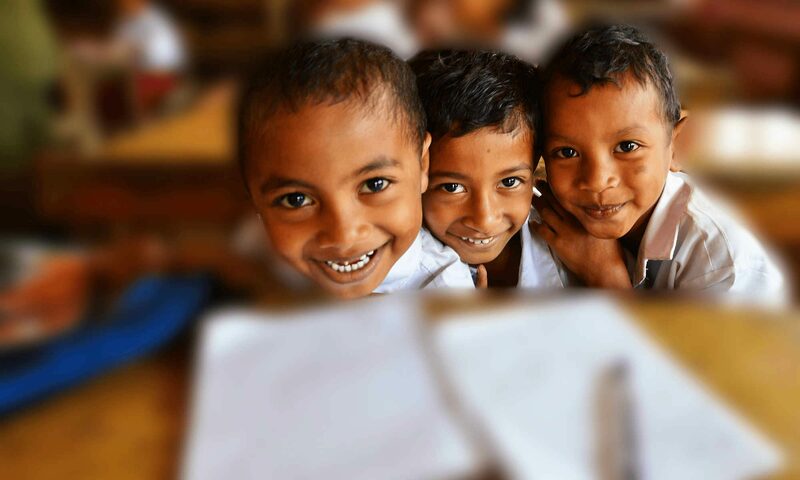 The real, loud, joyful children laugh in Indonesia is more contagious! Heidi and Peter Wiedekamm have experienced exactly that and luckily had their camera ready. On their world trip with the sailboat Stormvogel they were always greeted in the remote corners of this world by children, but also by adults. They have collected their photos and now in the picture book Mister, Mister! Photo Photo! released. The title is program. The book is one that makes a jubilant mood because it is just sincere. Arriving and being welcomed in a foreign land: this is not just the dream of all travelers, but a real need. Even the urban, modern metropolitan dreams of it. This experience can not be replaced by tourist-professional offers. This photo book shows spontaneously what happiness is. A stroke of luck. A picture book to smile! Mister, Mister! Photo Photo! is a refreshingly positive illustrated book that captures and communicates a universal emotion. A special cofeetable book – one in which one laughs, no: in which one laughs heartily. Sincere, direct and authentic. Watch the video in peace and get infected by the joy of life of the laughing children from Indonesia. You can find many more pictures in the high quality picture book “Mister, Mister! Foto, Foto!”. The more than 150 color photographs on 112 pages will inspire you. We are sure: After browsing you will have a smile on your face. The good-mood illustrated book “Mister, Mister! Foto, Foto!” is only available in bookstores and online as a real book. Just like in the early days.